10 years ago I cycled along the tow path of the Canal du Midi from Bordeaux to Sete, with my friend Trevor and my partner Susan driving the support bus. 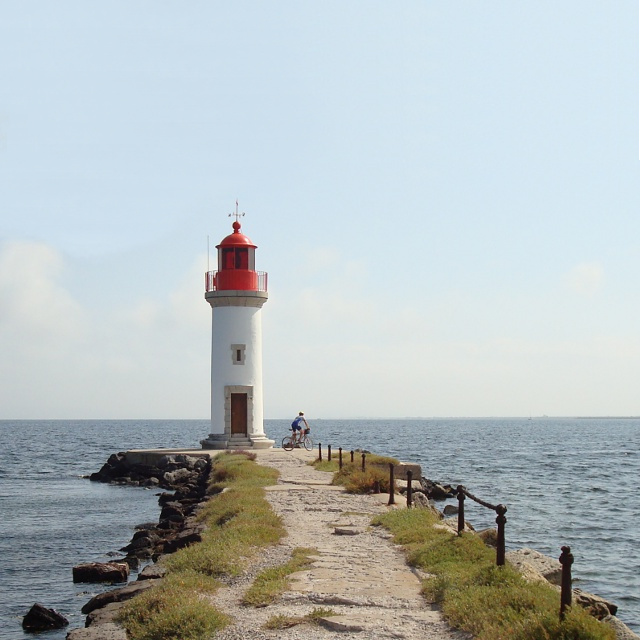 I wonder what I was thinking as I was rounding the lighthouse in the Bassin-du-Thau. Was I contemplating the return journey, from Sete to Bordeaux? More likely stay balanced, you don’t want to fall into that salty brine on your special birthday.